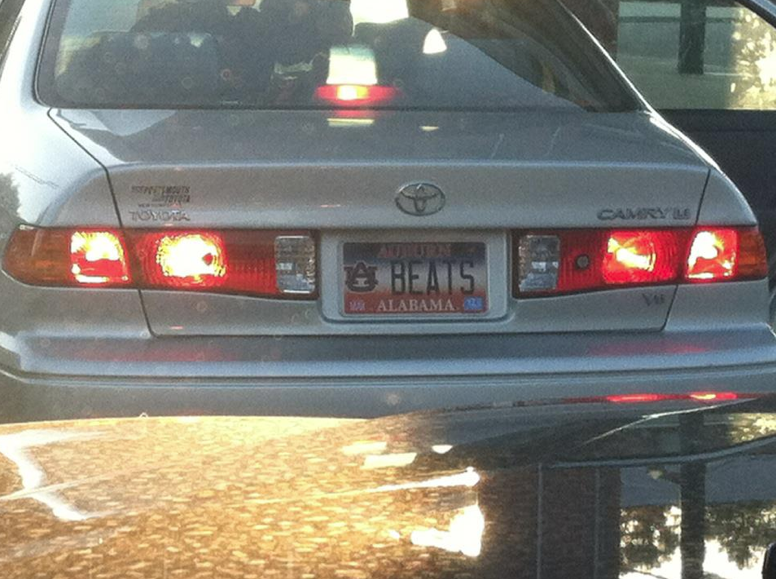 Here’s an Auburn fan who creatively juked the Alabama Department of Corrections PC plate police policy disallowing mean vanity plate messages directed towards your team’s rival, which al.com wrote about yesterday. The photo was taken in an Auburn elementary school’s student pickup line in 2011 by Charles Israel. Read the plate from top to bottom. You can also just try to gobbledygook your hatred past the censors like this Auburn fan. Related: 1993 Iron Bowl license plate defines ‘Ozark-chic’ in Winter’s Bone.